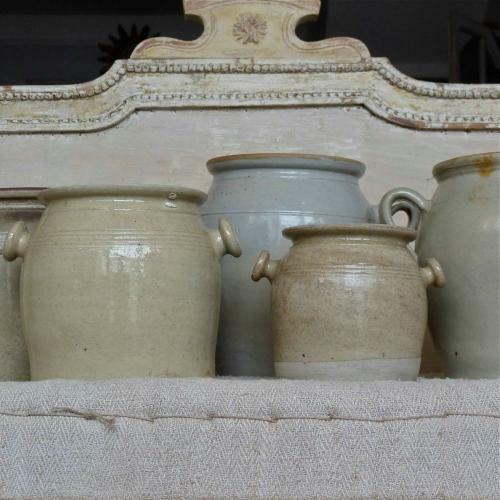 A collection of antique Burgundy stoneware confit pots with handles. Dating from the early 20th century these pieces have beautiful muted tones, and are in immaculate, original condition. Available as a complete set, or individually.